The benefits of summer camp transcend sports, fun and friendships, imparting lifelong lessons and skills that children can apply in school and beyond. Ice cream, swimsuits and sunscreen symbolize the arrival of warm weather every year, but nothing says “summer” like camp. A longstanding tradition for youngsters, summer camp brings to mind cabins with bunk beds, paddling canoes around a lake, making lanyards and roasting marshmallows over the fire. But through the decades, these programs have expanded, with both day and overnight options offering a wide range of activities. Some focus on one pursuit—like art or building robots—while others are an all-in-one resource for families, providing an outlet for physical activity, artistic expression and social engagement that kids lack once school lets out. In recent years, programs have further evolved to provide what child development experts recommend for growth: Many camps now build curriculum around activities that encourage kids to interact with positive role models who listen, talk, relax and reflect with them. The programs also teach kids to work together, make healthy choices, take responsibility, develop creative skills, build independence and self-reliance, and gain confidence. These experiences are a critical part of how kids grow, according to Peter Scales, a senior fellow with Search Institute, a Minneapolis-based organization that specializes in child development. “… Camps help young people discover and explore their talents, interests and values,” he says. Scales adds that many experiences at camp can help children excel once they return to the classroom. Other experts note that the friendships kids make at camp are more meaningful and often more lasting than friendships they make anywhere else. A 2013 article from the American Camp Association (ACA) indicated that camp experiences allow young adults to pursue relationships with mentors, practice challenging themselves with positive risks and, ultimately, build a healthy sense of self that fosters positive character traits. Camps come in many shapes and sizes, allowing parents to select the one that best fits their child’s interests and personality. But regardless of whether the focus is on improving basketball skills or providing a general overview of the arts, all camp experiences offer benefits. 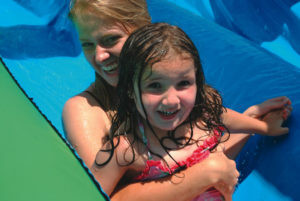 Family camps, which welcome both kids and adults, can be particularly valuable, as they present unique opportunities to bond. Chesak adds that the best camps offer multiple tracks across generations. In fact, industry insiders have identified a growing number of camps that bring together kids and other family members, according to Tom Holland, CEO of the ACA. “We are seeing a trend with resort camps and camps held in larger retirement communities, where children can visit with their grandparents,” Holland says. Ultimately, he adds, programs welcoming multiple generations provide an opportunity for families to create camp memories they all can share for years to come. 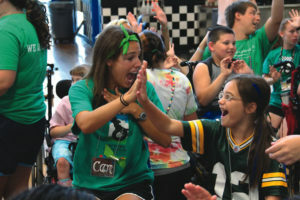 In addition to offering an opportunity for generations to connect over fun activities, resort-based camp programs also frequently offer piecemeal events that allow campers to participate in as many daily activities as they want. Camp Cloister, hosted at Sea Island, offers kids a full day of experiences across the resort. Taking advantage of the rich nearby ecosystem, Anne Harvey, Sea Island activities manager, says programs there usually revolve around the outdoors at the beaches and surrounding environment. Opportunities range from horseback riding and fishing to tennis and sailing. Outside time, new friends, fun programs and exploring the island—sounds like an ideal summer at any age. Camp cloister: Kids ages 3 to 14 can join the Junior Staff and the nature team for adventures, nature discoveries, games, crafts and other exciting outdoor activities. 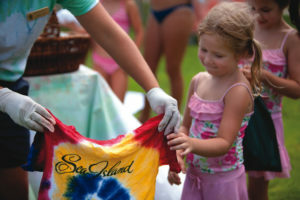 Tie-Dye Wednesdays: A creative favorite for kids of all ages, participants can choose colors for a uniquely designed tie-dye T-shirt to take home. 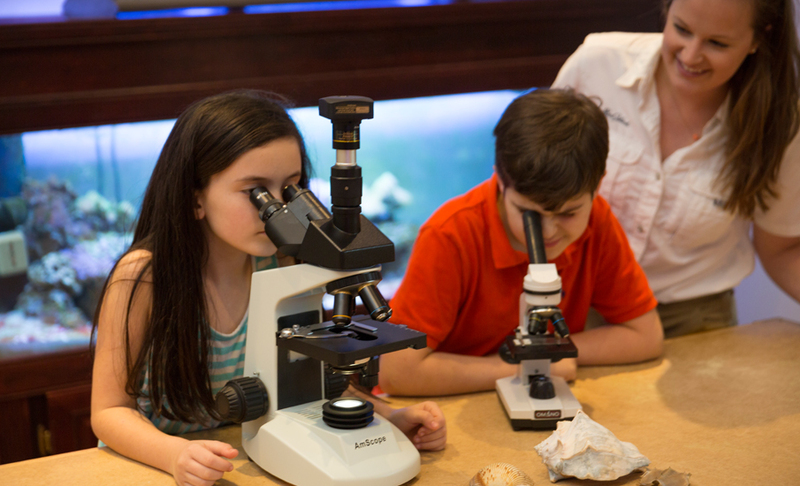 Under-the-Sea Workshop: On Tuesdays and Fridays, kids ages 3 and up can learn all about the living creatures underneath the water’s surface and make their own stuffed animal friends. Sea Island Junior Naturalist: This program, available weekdays for children ages 7 through 14, offers kids the opportunity to join a naturalist for a hands-on experience to learn about Sea Island’s ecosystems and wildlife.